Embrace the enchanting energy of the Sacred Waters of Archangel Tzapkiel, an aspect of the Divine feminine and guardian of Akashic mysteries, who helps us access the deepest compassion within our hearts and be released from old karmic patterns. 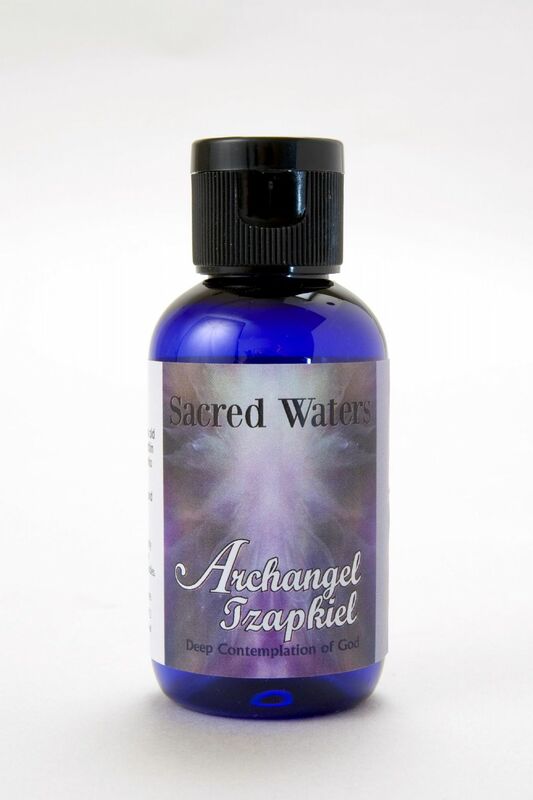 Embrace the enchanting energy of the Sacred Waters of Archangel Tzapkiel, an aspect of the Divine feminine and guardian of Akashic mysteries, who helps us access the deepest compassion within our hearts and be released from old karmic patterns. Her task is to reveal the Temple of Light within our physical bodies so that we may witness the beauty of who we truly are. A magical formula containing the aroma of Hyacinth, Lime and Verbena. Floral Water. Holy Water. Gem Essence of Charoite.